Mifare cards are plastic cards with a non-contact radio frequency communication technology. The main advantage for Mifare technology is that any physical contact is needed to read or encode a card, It is enough to keep it a few inches close to transfer data. 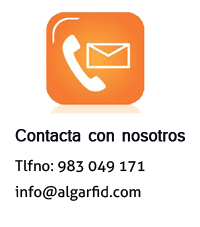 Despite the easy use the offer, we have to point that apps based on cards or readers Mifare don´t need any maintenance, unlike chip cards or magnetic cards, where you have to take into account the wear of the cards and the read/write systems.